We are delighted to announce our first US conference in NYC. An action-packed day of research and investment and the first of the events we have planned this year. 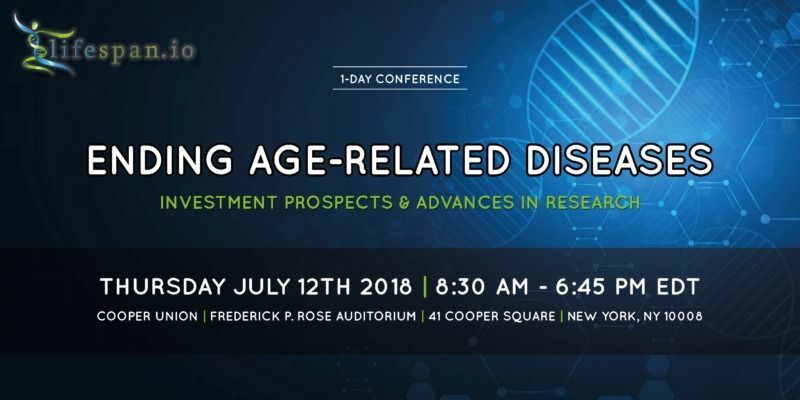 At the Frederick P. Rose Auditorium, Cooper Union in New York City, we will be hosting a special one-day conference focused on aging research and biotech investment. Developing therapies from initial concepts, through clinical testing, and ultimately to market takes a pipeline, and right now, that pipeline is being built to support the next step in medicine: rejuvenation biotechnology. Join us for this exciting event, where industry experts will be sharing their insights on the advances and investment prospects in an industry poised to revolutionize medicine forever.